I travel the entire world but I always stay in one corner, what am I? This famous riddle is from Sophocles’ Oedipus Rex. I am a building which one enters blind but leaves being able to see. Are you able to name what is me?" Trolls aren't always making negative comments online while anonymous, sometimes they are hanging out under bridges demanding people answer riddles in order to cross. 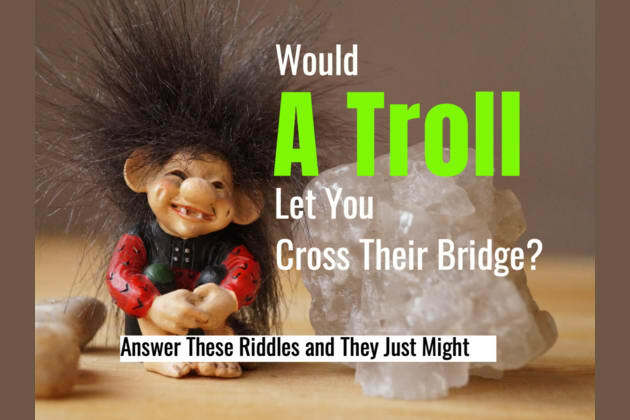 Take this quiz to see if you'd have the answers needed to cross a troll's bridge.